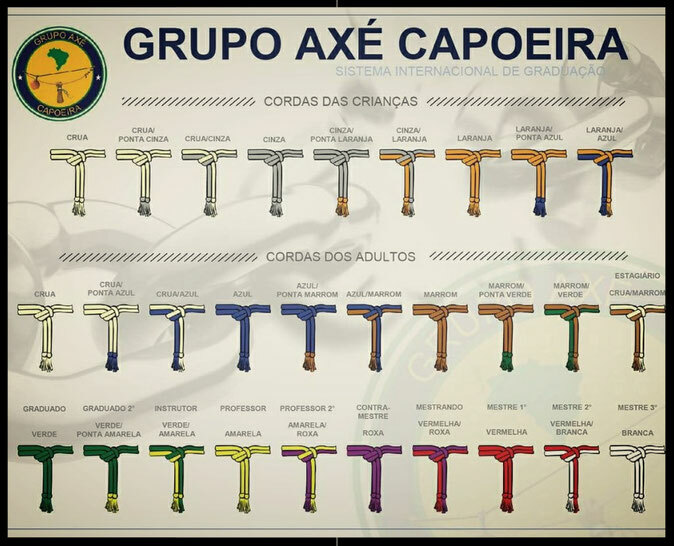 Axé Capoeira utilizes a belt system to acknowledge the knowledge of the capoeira student. The belt is known as “corda” and is presented to the student during an event called the Batizado (baptism). This is an event that celebrates the Brazilian culture through dances and music and where students can progress through the belt system.